Back by popular demand! 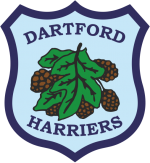 We are pleased to offer club hoodies which feature the Dartford Harriers logo and the opportunity to personalise them with initials, a name, or nickname. Please refer to the description below for further product information. 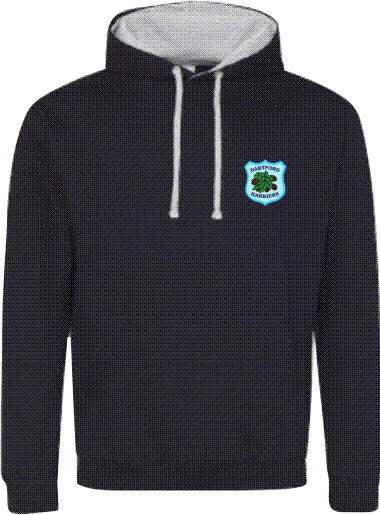 After much demand, we are pleased to say we are now able to take orders for club hoodies. 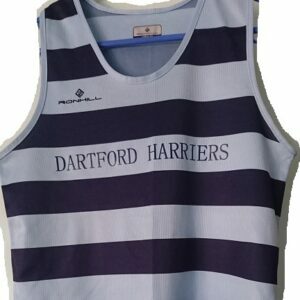 The hoodie is Navy Sky in colour and features the Dartford Harriers Logo and the option to add a printed name or nickname to the front right at chest height. Please refer to the size guide which provides approximate sizing. Please note that we are unable to amend an order once it is placed, therefore, it is vital you order the right size and ensure the text you enter for the nickname is correct. 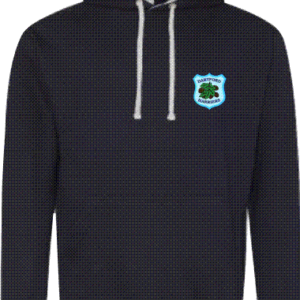 Please note the estimated delivery time for this product is approximately 2-3 weeks from receipt of order.